Mercedes-Benz Korea, the local unit of the German luxury carmaker, has launched the AMG Driving Academy with an aim to make the AMG Speedway an automotive cultural complex, the company said Monday. Benz Korea’s latest program will begin in November by opening the AMG racetrack to a wider audience. “Participants of the program will not only experience the excitement of driving, but also learn safe driving skills and car racing techniques in an effective manner. Anyone who wishes to participate can register for the program,” Mercedes-Benz Korea said. 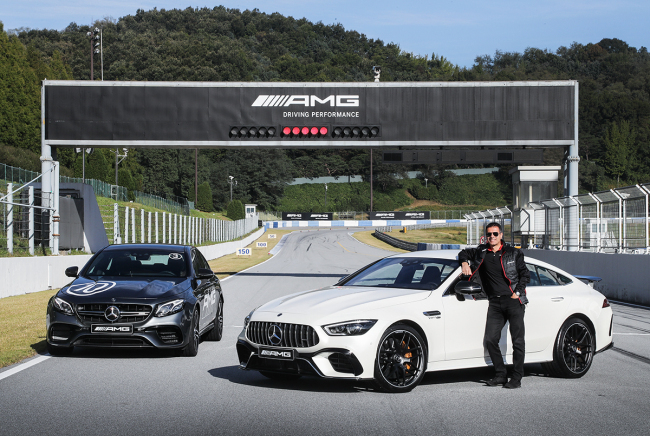 The driver training programs developed by the AMG headquarters will be taught by AMG-certified instructors at the carmaker’s first AMG branded circuit in Yongin, Gyeonggi Province, which launched in late May. Ten percent of the participation fee will go to the Mercedes-Benz CSR Committee to promote traffic safety for children, it added.